The growth model perspective deploys a limited theory of the state and struggles to explain how stability was secured within pre-crisis British capitalism. This chapter advances a theoretical framework which overcomes these limitations. Drawing on neo-Marxist state theory, the chapter argues that state managers are typically driven to secure two often contradictory objectives: accumulation on the one hand and legitimation on the other. By actively shaping and discursively constructing underlying distributional processes, state managers can seek to secure a popular base of support within society. The pursuit of ‘legitimation strategies’ of this form can have the effect of stabilising the dominant growth model. 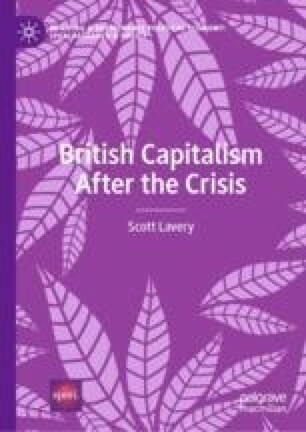 This conceptual framework allows us to trace processes of continuity and change within post-crisis British capitalism.